Ruth is a highly regarded barrister on the North Eastern Circuit. She is well known to professional clients for her skills of being both highly analytical and also practical. She is able to provide for the needs of her clients in a proactive and cost-effective manner. Ruth is ever conscious of the need to be approachable and accessible to clients and is regarded by many of her instructing solicitors as an extension of their own team. Ruth is always thorough and exceptionally well prepared and is noted for her attention to detail and effective advocacy. She is highly regarded by all levels of the judiciary for her ability to lead the Court to the salient points in a case with her controlled and astute cross-examination. Always being aware of the commercial realities of litigation and other forms of dispute resolution, Ruth ensures that the particular needs of each individual client are met, whatever the nature of their dispute. Ruth represents claimants and defendants in all areas of personal injury litigation, broadly splitting her practice equally between the two. She has a busy court practice and is adept on providing sensible and practical advice on liability, procedural issues, tactics and quantum. She acts in cases ranging from straightforward claims of a relatively modest value to claims of significant complexity involving injuries of the maximum severity. Accidents involving public passenger transport vehicles. Motor Insurance Fraud – including staged and induced accidents; phantom passenger claims, serious and organised insurance fraud. Ruth is highly regarded as one of circuit’s top credit hire specialists and has vast experience of dealing with claims for claimants and defendants at all levels. She is first choice for her many clients, particularly when it comes to more complex cases and especially for appeals, applications, multi-track and fast track cases. Ruth is regularly instructed to advise on specific individual cases. She is approachable and adaptable in terms of the client’s preferred method of obtaining advice and is more than happy to tailor the provision of her advice to the needs of the client, in a cost effective manner. The law surrounding the interpretation and reliability of the Defendant’s rates evidence since Stevens v Equity Syndicate Management Limited  EWCA Civ 93 and McBride v UK Insurance Ltd  EWCA Civ 144. 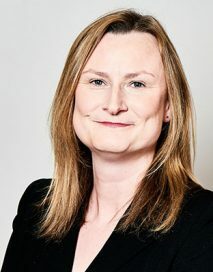 Ruth is also equipped and experienced in providing more general advice to professional clients, credit hire organisations and insurers as to the wider implications of undertaking a particular strategy or step in their approach to credit hire litigation.